If you have ever gone a few years without a real vacation you know that with the passage of time the madness of work starts to all make sense and the insanity becomes your sense of normal. And I’m not talking about a vacation where you take the time off to put in a new yard or bathroom remodel, I’m talking wind in your hair, sand in your toes, Jimmy Buffet Margaritaville tequila sipping vacation that crosses the line of demarcation where what happens on vacation is forsaken by god with no hope of redemption. 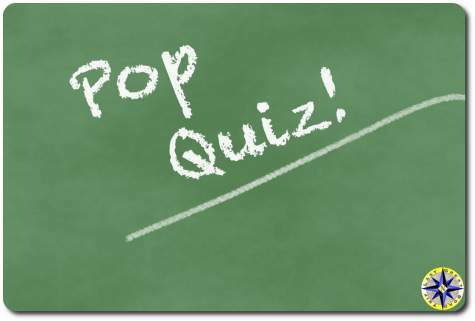 Having a type “A”, workaholic personality myself, it is usually my wife who points out my stupidity when I can’t see what is right there in front of me pointing to the need for time off. So to help recognize when enough is enough and a break is called for I’ve put together another little memory jogger. 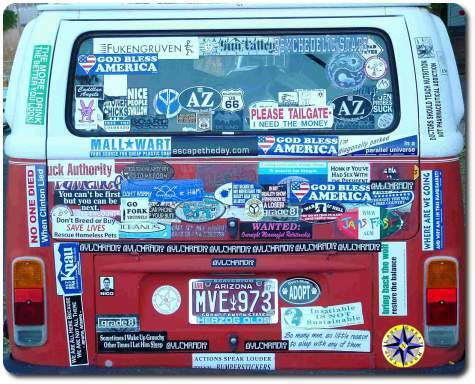 …And the way you know that you are absolutely, positively ready for a road trip is when you recognize you are indeed the company’s best asset— to be signed away at will, moved as needed and purchased as cheaply as possible! To help decide if you are up to the challenge and assist in preparing for the experience the BLM has put together a great resource. 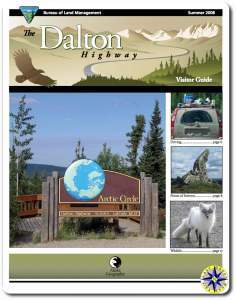 You can down load “Dalton Highway 2008 visitor guide“. 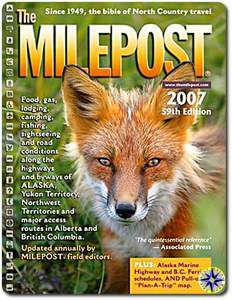 There is no public access to the Arctic Ocean from Deadhorse. After reading through the brochure you get a sense that if you are looking for miles of nothing this is the stretch of road for you. 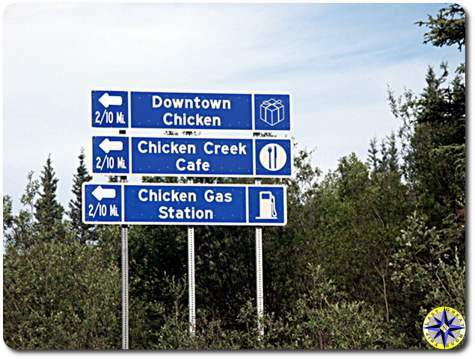 For the last great road trip, this is the exact description we were looking for. We’ll of course pack an extra spare, a can of gas along with a few bags of Cheetos and beef jerky. And all this… is why the Haul Road is the last great road trip’s final destination. 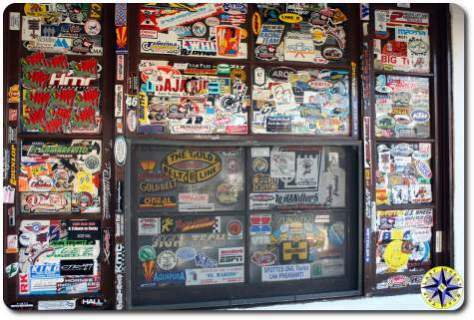 For those of you keeping track of us in the press, take a look at “Celebrating Diversity for 14 days and 5000 Miles” (PR.com) and “One Truck, Two Generations, 14 Days and 5,000 Miles” (PRWeb). Looks like the word is out that this trip is more about relationships than passing mile markers. Sure you’ll get some travel tips and plenty of travel photos. 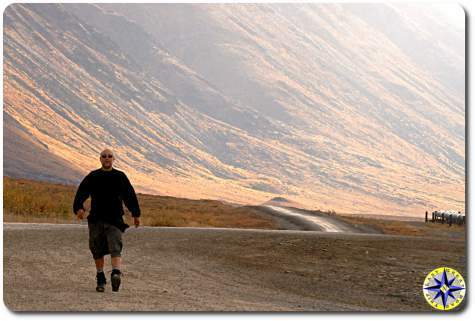 But mostly you’ll get what it’s like to be on the trip with us… the emotional ups and downs of life on the road less traveled. 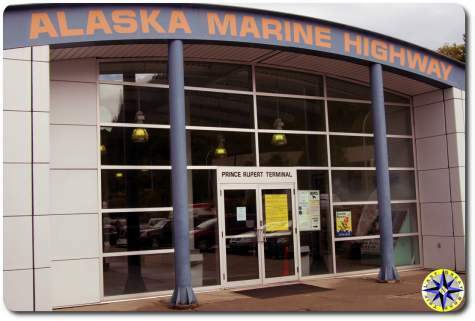 The Alaska Marine Hwy ferry tickets arrived. For the same price as a luxury seven day cruse you get to bring your rig with you on a six-stop 2 1/2 day trip along the Inside Passage from Bellingham Washington to Haines Alaska. The accommodation may be tight and you’re on your own for meals, but the company promises to be interesting and the scenery spectacular. We will see how it turns out… there is no turning back now with tickets in hand! And just when you think it’s smooth sailing… Karma kicks you in the teeth and throws a wrench into all your best laid plans. Follow this father and son road trip adventure as they take this once in a lifetime journey. 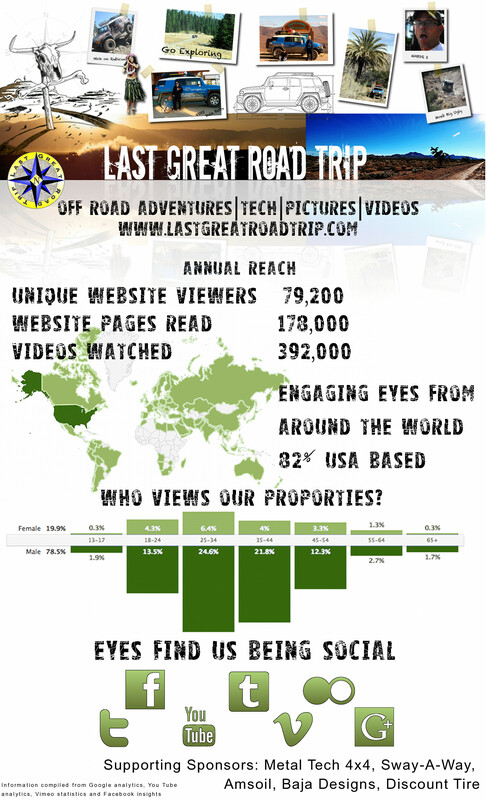 Our travelers will keep everyone up to date through their blog with stories and pictures. 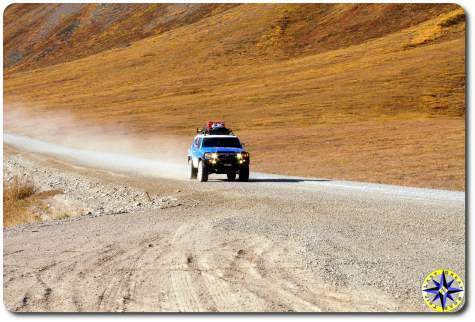 The Arctic Circle remains one of the last great wildernesses you can reach by “road”. 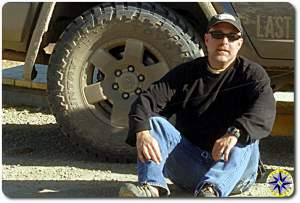 On August 24, 2007 a father son team is setting off, in their Toyota FJ Cruiser, from Poulsbo, Washington and driving to the Arctic Circle. 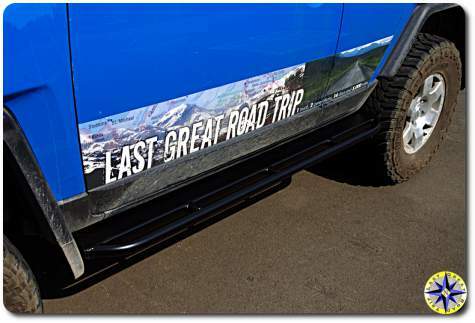 The two road warriors will attempt to travel over 5,200 miles in 14 days traveling on the Alaska Marine Hwy, Alaskan Canadian Hwy (ALCAN) and highways that can best be described as gravel paths. Excitement is building on the web and in the press about this adventure. This site will record their day by day adventures through stories, pictures and video. Check the blog for up to date adventure highlights. 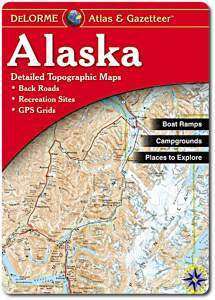 The first leg of the journey is through the scenic waterways of Southeastern Alaska’s Inside Passage. The ferries of the Alaska Marine Highway will carry the pair of road warriors and their Toyota FJ Cruiser from Bellingham, WA. to the southeastern ports of Ketchikan, Wrangell, Petersburg, Sitka, Juneau (Alaska’s capital), off loading in Haines AK. From Haines the travelers will drive north joining up with the Alaskan Canada Highway at Haines Junction. 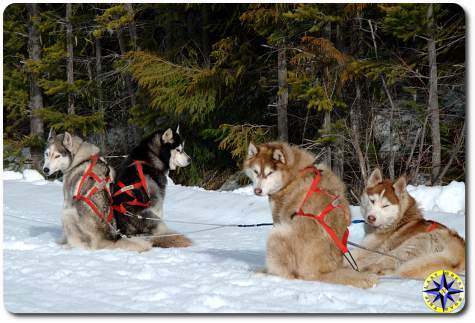 The early legs of the trip are a hard push to reach Fairbanks Alaska which the pair will use as its jumping off point to the Arctic Circle. 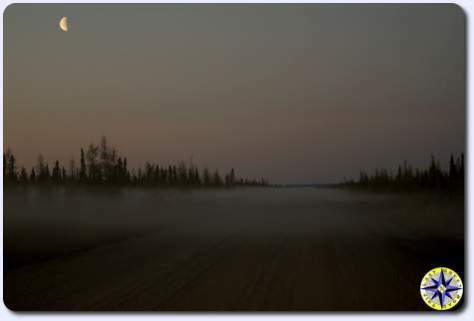 The 414-mile Dalton Highway, still called the ‘Haul Road’ connects the oil fields of Prudhoe Bay on the North Slope with mainstream Alaska and is one of Alaska’s most remote and challenging roads. Mostly gravel, motorists need to watch for ruts, rocks, dust in dry weather, potholes in wet weather and trucks and road maintenance equipment at all times. The first stop on Haul Road is Coldfoot one of the few Alaska communities north of the Arctic Circle accessible by road. 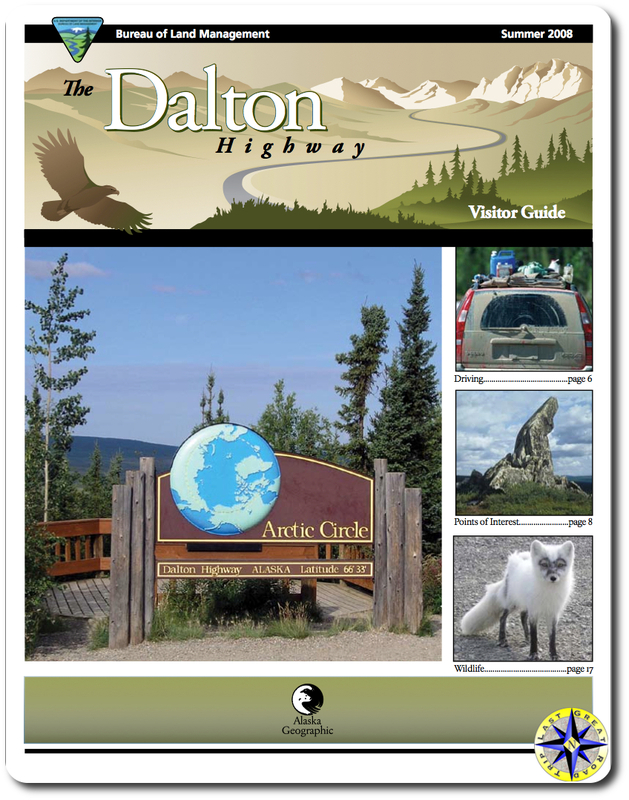 Described as a bit of a one-horse town it will be the first overnight stop on the Dalton Highway. 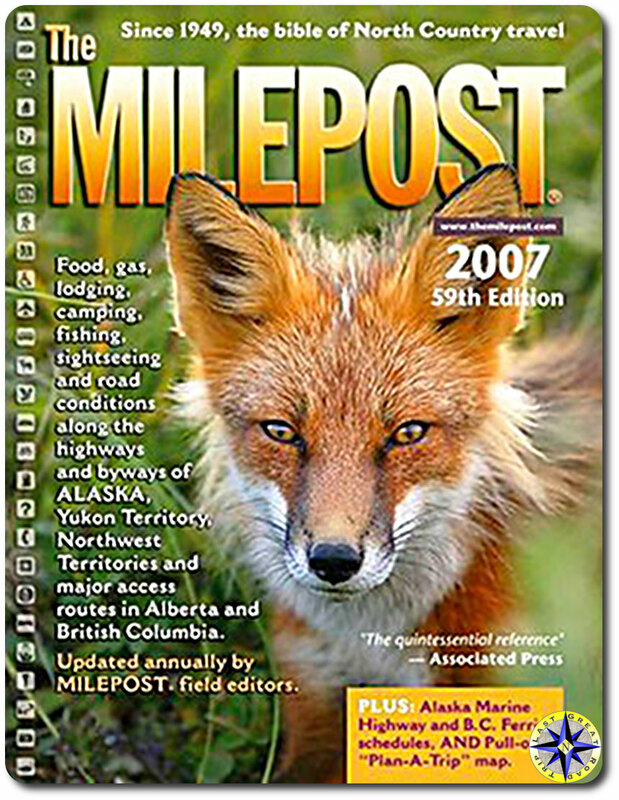 The end of the trail is Deadhorse 498 miles north of Fairbanks near the Arctic Ocean and is the end of the Haul Road. After the dust covered adventurers return to Fairbanks, a leisurely journey back down the ALCAN Hwy will carry the pair south through two countries, two provinces and two states. While the itinerary sets some goals, the mark of a great road trip is the freedom to take a side road just because it looks interesting. Follow the father son adventures as they take this once in a lifetime journey. 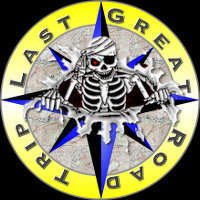 The travelers will keep everyone up to date through their blog with stories and pictures. Just don’t be surprised if a few days elapse between updates as Internet access may not be as available clean air, wide open spaces and magnificent scenery. 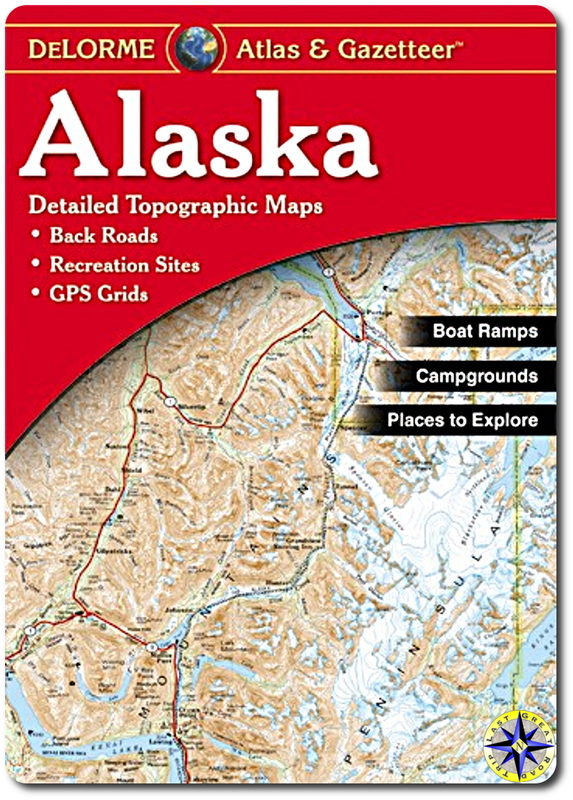 See itinerary and maps of the last great road trip. 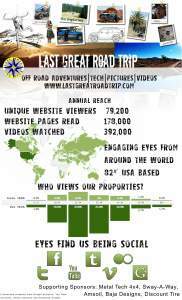 See the entire arctic circle road trip adventure.